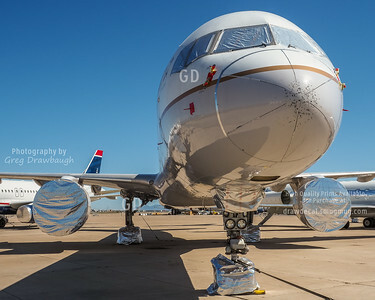 Complete with well-wishes written on the nose cone, Cayman Airways 737-300 VP-CKY departs from Tucson for its final flight to meet its maker in a desert boneyard. 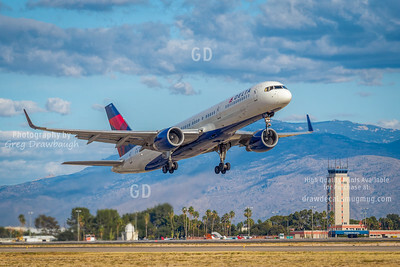 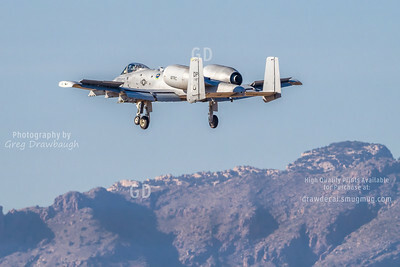 An A-10 glides into Davis-Monthan AFB in Tucson, AZ with the Catalina Mountains as a backdrop. 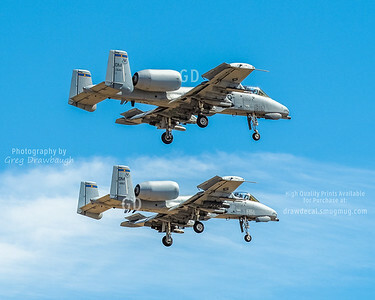 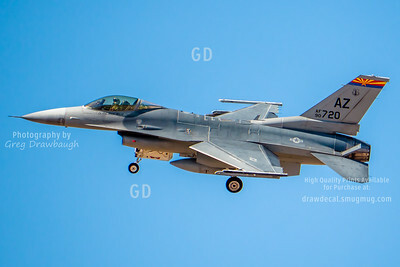 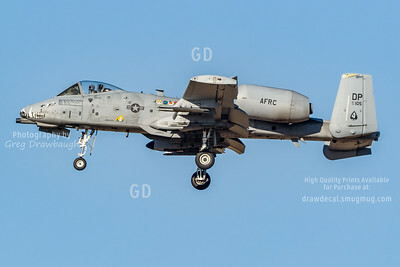 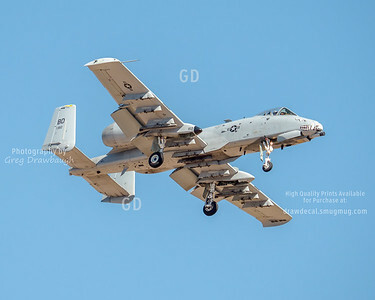 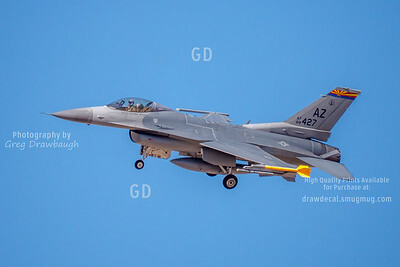 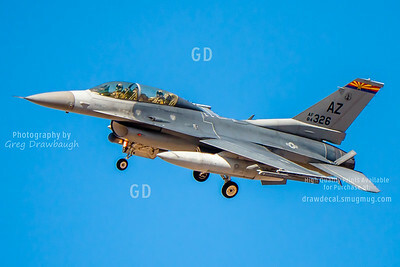 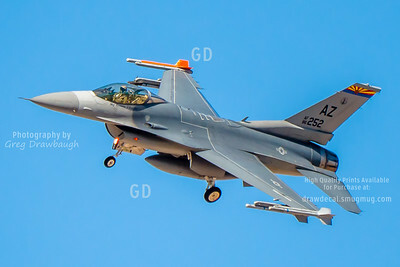 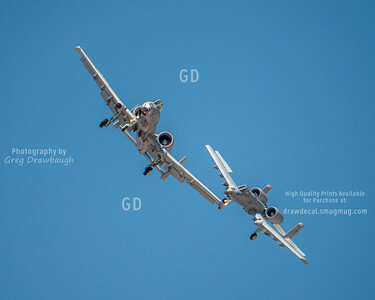 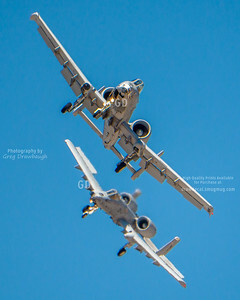 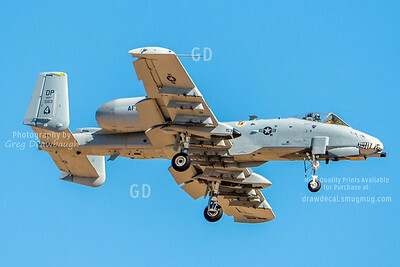 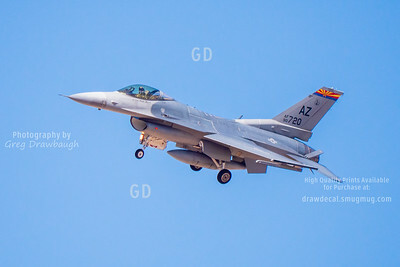 A-10A's 82-0646 and 82-0662 return to DMAFB after another training flight in the great desert southwest. 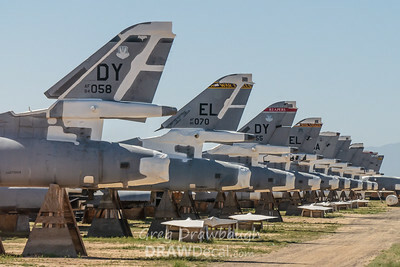 A line of ten B-1B "Bones" await their fate at AMARG, a truly depressing site. 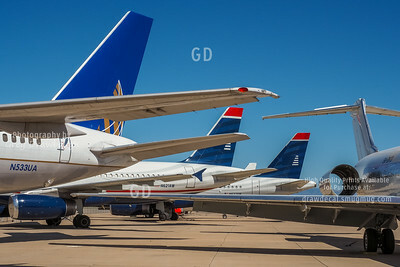 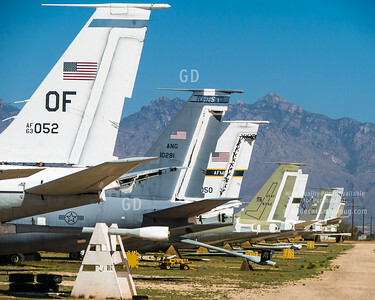 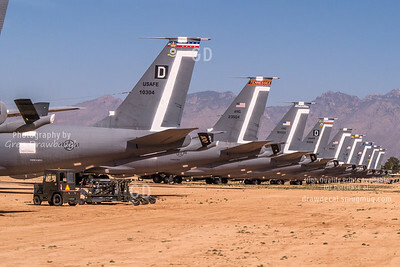 A line of KC-135E and R models await their turn to be canibalized in Tucson at AMARG better known a the "Bone Yard"
A line of various KC-135 models in different stages of being canibalized in Tucson at AMARG better known a the "Bone Yard"
Practice session for the 2011 Heritage Flight Conference in Tucson, AZ. 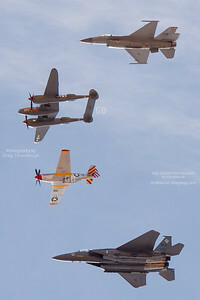 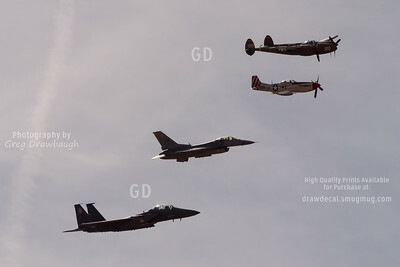 It is not too often you get to see a P-51 and P-38 flying together with an F-15 and F-16. 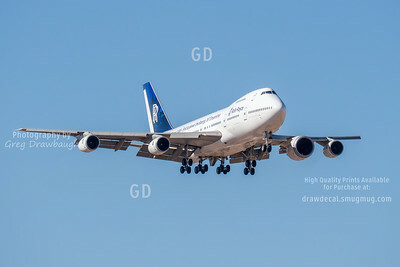 Rolls-Royce testbed 747-200 N787RR makes its approach into Tucson - TUS after flying numerous racetrack patterns at 40,000ft along the southern US border. 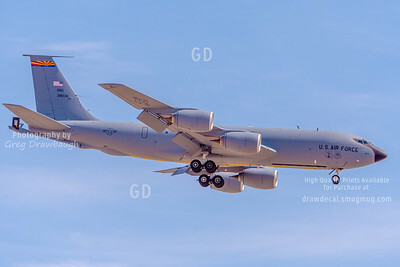 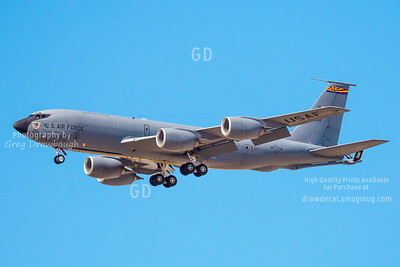 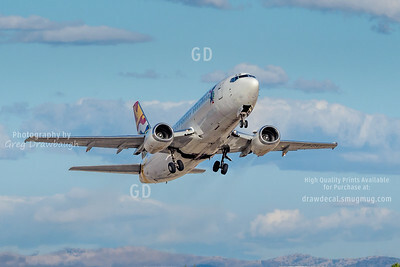 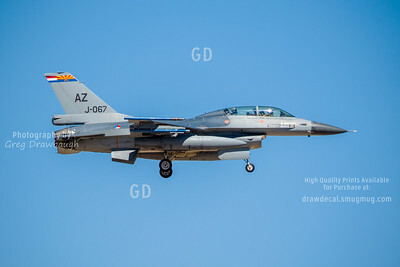 The "monster" on the right wing is a Trent 1000 engine in the number 2 position.